Race is one of those topics that we should be talking about, but we don't. I think most of us wish that we lived in a world where race no longer mattered, but we know we are far from getting to that point. It is hard to imagine a world where race is not a factor, but that is exactly what artist Nick Cave has been doing since 1991. Artist and professional dancer Nick Cave was originally inspired by The Rodney King trial, he tried to imagine what the world would be like if there was no race. He created "Soundsuits" that "camouflaged the body, masking and creating a second skin that conceals race, gender, and class, forcing the viewer to look without judgement." His costumes are usually very bright, and they are created out of lots of odd materials including dyed human hair, sisal, plastic buttons, beads, sequins, and feathers. He usually creates large public spectacles to display his work. His costumes are also being displayed in museums throughout the world. Mr. Cave will be taking up a residence in the city of Detroit for the next 7 months. He will be hosting pop up events throughout the city while shooting his next book that will be titled Nick Cave: Greetings from Detroit. Cave's Detroit residency will kick off at The Cranbrook Art Museum on April 10th. Cave will be dressed in one of his iconic Soundsuits giving attendees a chance to see his art up close and personal. He will hold pop ups at the Dequindre Cut, The Brightmoor Neighborhood, The Parade Company, Mexicantown, The African Bead Museum, The Eastern Market, The Fisher Building, One Woodward Avenue, and more. Cave's residency will come to an end with a bang. He will stage a massive public performance called Figure This Detroit at The Masonic Temple on October 4th. Nick Cave will give a public appearance performing in a Soundsuit on the Peristyle outside of Cranbrook Art Museum at Noon. Nick Cave Soundsuit “invasion” photo shoots in Detroit. 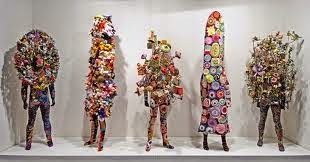 Nick Cave: Here Hear ArtMembers and Sponsors exhibition preview. Celebration and performance at the historic Redford Theatre, followed by a celebration at The Artist Village, engaging the Brightmoor, Old Redford and Northwest Detroit communities. These events will be free and open to the public. Up Right Detroit: a performance with participants from the Ruth Ellis Center. Conceived by Nick Cave as an “act of initiation” and a preparation of the mind, body, spirit, and selfhood, a group of African-American men will undergo a ritual of being costumed in elaborate Soundsuits, before they reenter the city, transformed. The site, date and format will be determined by funding initiatives. Cranbrook Art Museum will partner with the Museum of Contemporary Art Detroit (MOCAD) to present three Dance Labs designed by Nick Cave. He will pair three local dance companies with three groups of musicians to create their own choreographed works with his extraordinary Soundsuits. The rehearsals at MOCAD will be open to viewers, and the free public performances will be staged in locations throughout the city. Dates and times to be announced. 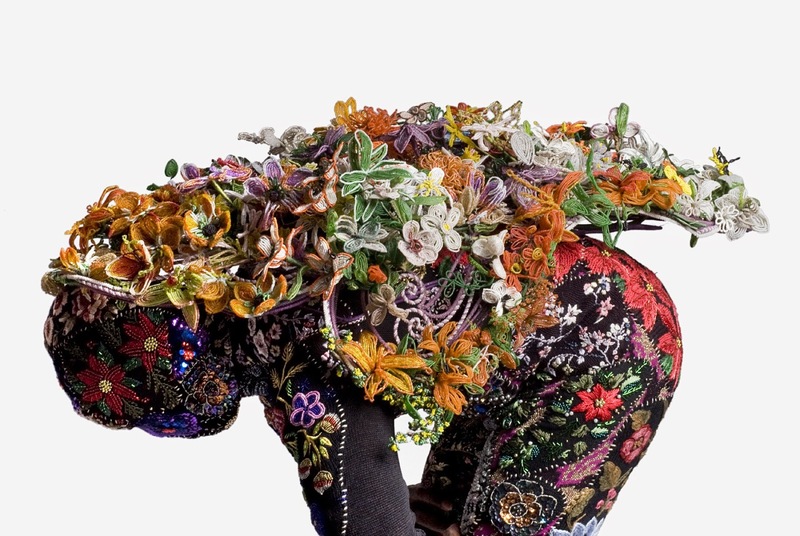 As a continuation of his renowned performance series, Nick Cave will present Heard•Detroit as a partnership between Cranbrook Art Museum, The Detroit RiverFront Conservancy and The Detroit School of Arts. The project will feature a procession of as many as 30 life-size horse sculptures operated by 60 high-school dancers along the Detroit riverfront. A dreamlike vision that stops everyday life for a collective transformative moment, Heard•Detroit will be performed by talented dancers and musicians attending the Detroit School of Arts, one of four magnet schools in the Detroit Public School system. The performance along the riverfront will be free and open to the public. The culmination of the project will be Figure This: Detroit, a large-scale performance comprised of the dances and music from the Dance Labs, a presentation by children of their Cave-inspired creations, and the artist’s new artwork Up Right Detroit. This final performance will be a free event in Detroit’s Masonic Temple for an audience of hundreds. We are excited to see what Mr.Cave does during his time here in Detroit. For more information visit The Cranbrook website here.